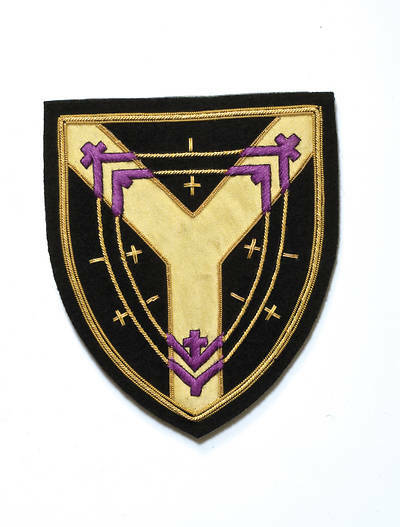 This beautifully hand embroidered shield is designed to be attached to a tippet or mounted in a wall frame as a presentation gift. Embroidered shield sizes vary depending upon the style and orientation of each design. Most are approximately 4" x 6".